Learn a sport you will enjoy for a lifetime! Sailaway Sailing School offers a variety of programs taught by certified instructors to fit your schedule. We're located in Captain's Cove Seaport on historic Black Rock Harbor. Sailors have honed their skills on these waters for hundreds of years and so will you! After class you can enjoy the Cove's family friendly restaurant and bar with its salty seafaring atmosphere. 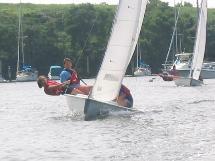 SMALL BOAT SAILING COURSE: This is a fast track "Learn to Sail" course for the whole family! Three 3 hour sessions with one of our certified instructors on our Club 420s. Day 1: Water Safety, Boat Anatomy, Sailing Language, Rigging, Intro Sail! Day 3: Review, Capsize Recovery, Man Overboard Recovery Drills, Solo Sail! 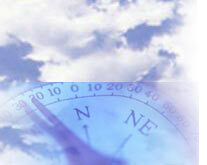 BASIC KEELBOAT SAILING COURSE: "Learn to Sail" on our 22' keel sailboat. This is a three session, 9 hour course that can be scheduled evenings and weekends for three hour sessions.